I'm Chris Shattuck with Build a Module dot com and I'm going to show you how to install and uninstall a module. First of all to install, we need to download the module so we're going to go to the project page for the module that we need on Drupal dot org. In this case, it's file field. We're going to scroll down to where we see the green boxes. 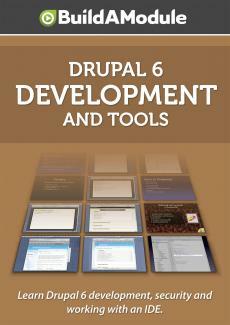 The green boxes indicate that these are released versions for a particular version of Drupal and it will begin with the number of Drupals, so we have five, Drupal five and Drupal six. If there are multiple versions for a version of Drupal, then there will be one that says recommended for the version that you are downloading for. That's the one you usually want to use. If you have any questions just download that one. To download, click the download link. It's downloading. Ok. So what it downloads is the tar file which ends in dot tar. If you are unfamiliar with this it's very similar to a zip file. And you would unpack it in a very similar way. In my case I have already have an unpacker installed. If you don't have one, you can use a program for windows called seven zip which is free and open source or for Apple Max, you can use a stuff-it expander which is also free. So I'm going to just double click this to expand it and now we have the full folder with the files in it. And we want to copy the entire folder and we want to put it in a specific directory in our Drupal install. So here's my base directory and you can see there is a sites directory inside of that. Inside of there this is a fresh install. What we need to do is create an "all" folder and inside of that we need to create a "modules" folder.